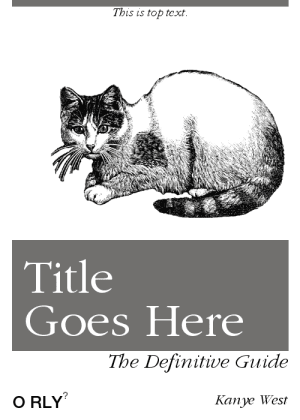 Insult your co-workers with snarky O RLY parody book covers! PS. There are a few known edge cases that do not generate. Some characters and long words won't work, etc. If you want to report an issue, feel free DM @ThePracticalDev on Twitter. The animal images are from the USF ClipArt ETC project. They are used in this O RLY Cover Generator for the purposes of parody.